Stayed in Room #1611 from 30/05/15 – 01/01/15. I’m very impressed, though the breakfast have much more improvement. Stayed in Room #1610 from 31/05/15 – 02/06/15. Stayed in Room #1509/1510 from 12/06/15 – 13/06/15. I am a season traveler and I recommended this hotel if anyone wanted to find a good hotel to stay in Shah Alam. 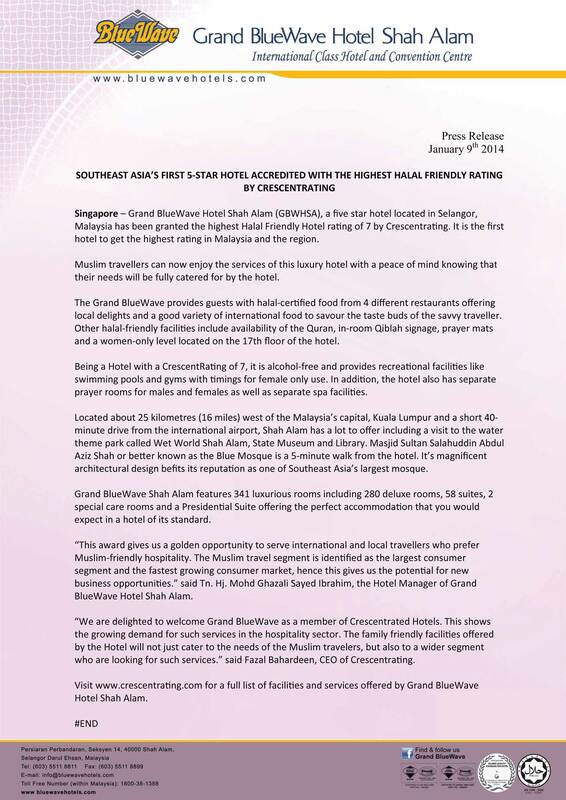 No doubt other than it is comfortable, the hospitality of their staff is playing a major factor in making it a 5 ***** hotel. Stayed in Room #1521 from 06/05/15 – 08/06/15 . Stayed in Room #1302 from 02/05/15 – 03/05/15 . Room comfortable and can eat the food without a scare about something not allow in islam. Stayed in Room #1504/1506/1510/1511 from 05/06/15 – 06/06/15 . Stayed in Room # from 15/01/15 – 17/01/15. The hotel is within walking distance to Darul Ehsan Medical Centre. It very convenient for relatives of patient who is receiving treatment at the medical centre.